Today’s little snippet comes from Lerwick, in the Shetlands. 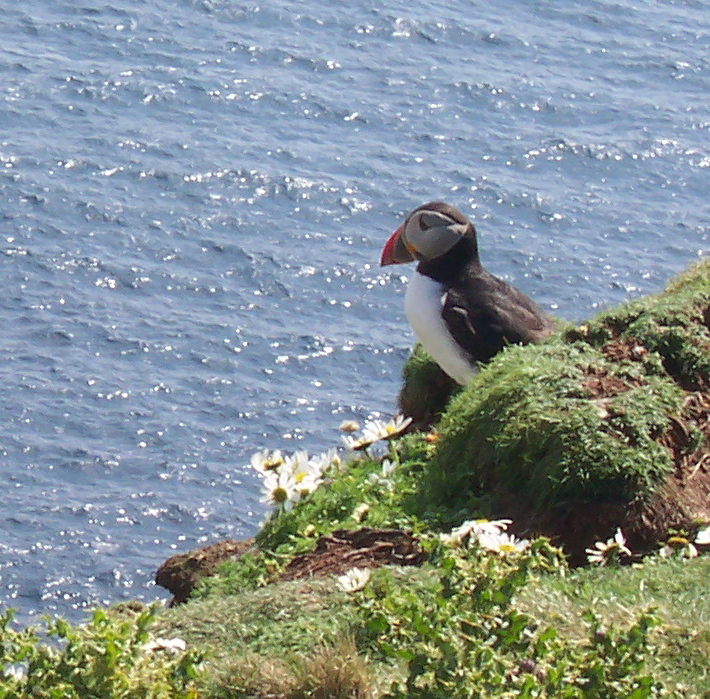 The cliff face is home to hundreds of puffins, hunkering down among the small mauve flowers—I don’t know their name—that cluster over rocks, sheltering burrows. Ye canna look at a tammie norie without smiling, Magnus Tulloch says, and I think: Aye, they are the strangest little things, birds that look as though they’ve been put together on the Lord’s day off by someone with a sense of humour—a hodgepodge thrown together with the bits left over from other birds, some I’ve only ever seen in The Class Book of the Natural World at school. Fat, stumpy bodies in black and white penguin clothes. The brightly tropic-coloured beaks of toucans. Enormous orange feet, webbed like a duck’s, splaying all ungainly as they come in to land on graceful eagle wings. Who could dream up anything as—what’s the word? 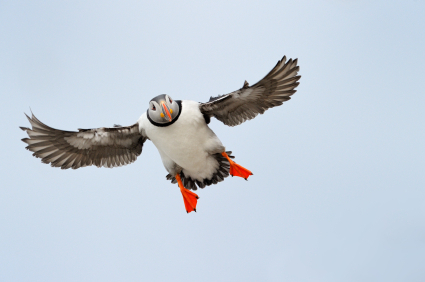 Anything as preposterous as a puffin? Click on the links to catch up with the meaning of having a jamaica, chuckney, jeely pieces, laavie and quine.